This early and and simple pot carries the Directions for use of the compound on the body of the pot. 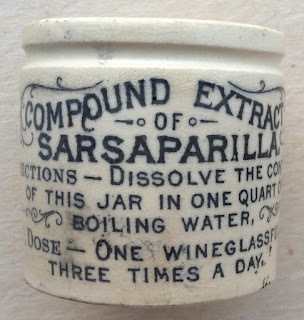 Further images of the Edwardian 'Sarsaparilla' pots can be found on the Edwardian Ointment Pots page. book produced by Messrs. Houghton & Priestley page 122.